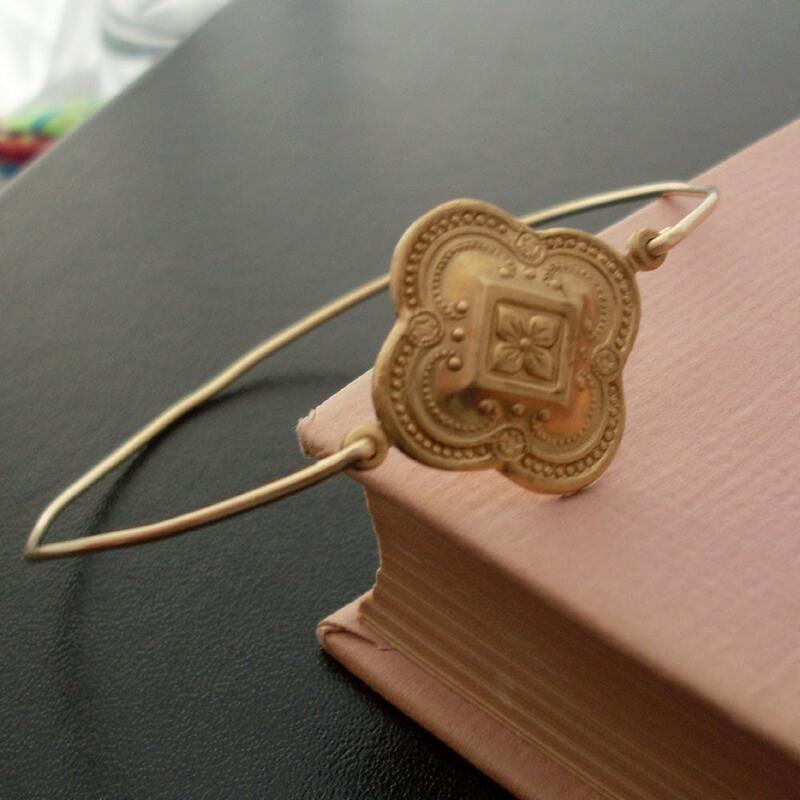 Medieval Jewelry Design, Wire Bangle Bracelet -- A gold tone brass stamping with a medieval quatrefoil clover design has been transformed into a dainty & delicate bangle bracelet with a gold tone wire brass bangle band. 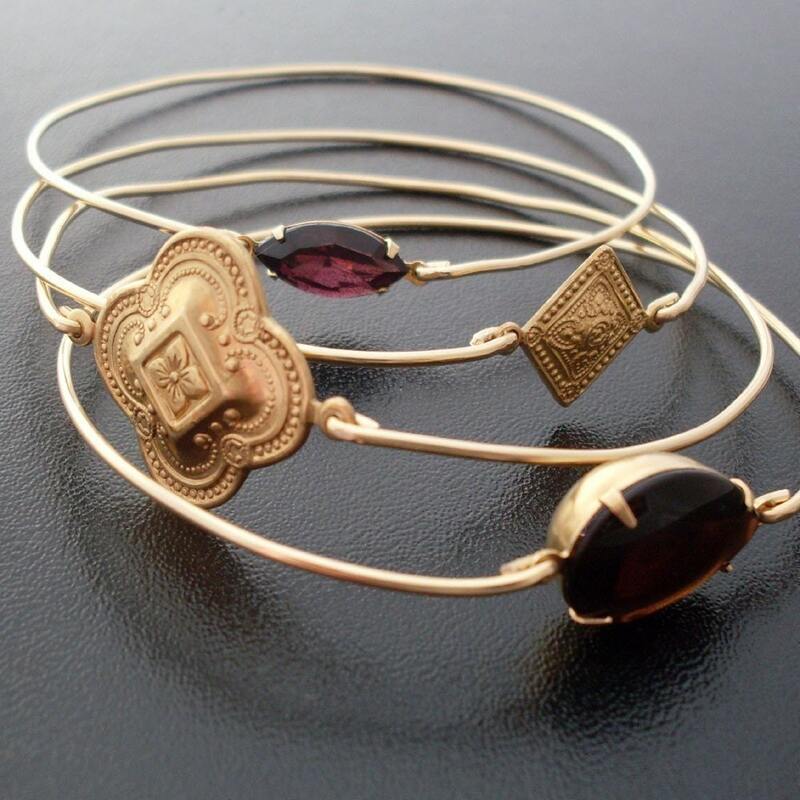 I can also make this quatrefoil bangle bracelet with your choice of a 14k gold filled wire bangle band or sterling silver band for an additional $10. If you would like either of these options for your thin bracelet, select from options when ordering your clover jewelry piece. 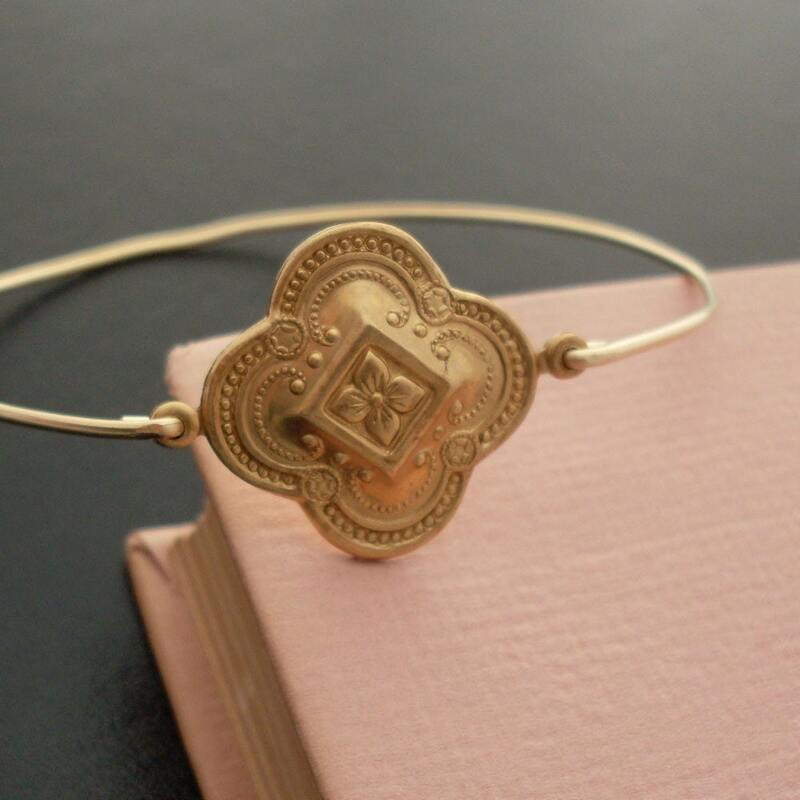 While the brass wire bangle band is more dainty, the 14k gold filled wire bangle band is firmer, but still on the dainty side :) Either makes a great choice for this quatrefoil bracelet. 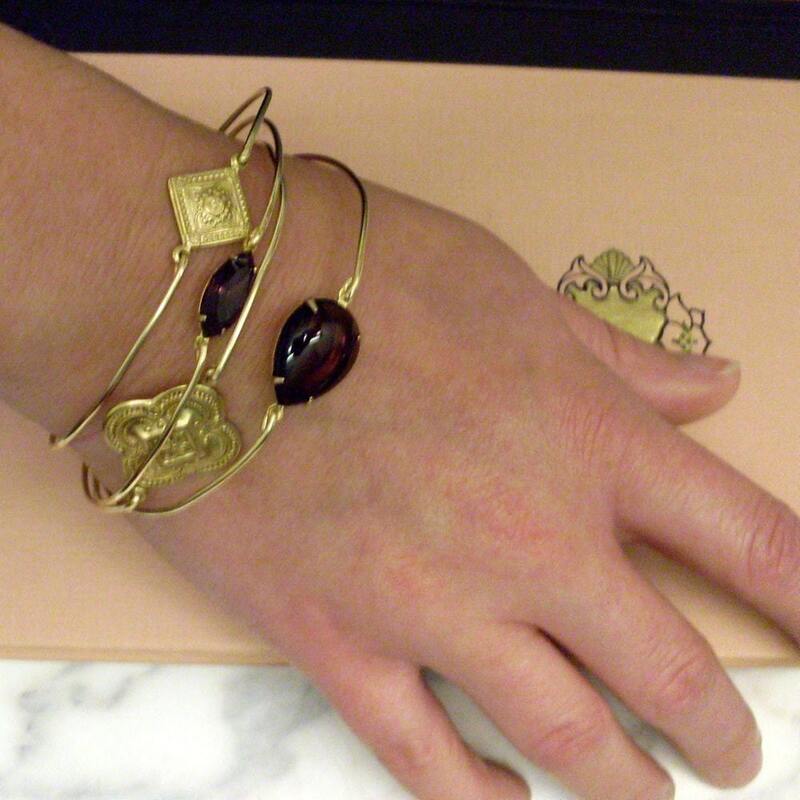 Please specify SIZE in notes to seller during checkout for your thin bangle bracelet. Choose from one of my regular sizes below by measuring one of your favorite bangles, or give me the circumference of the widest part of your hand where this clover bangle has to be pulled over; then I can size this boho bangle bracelet for you. All of my bangles are closed and can’t be opened. Therefore, this medieval boho bracelet has to fit over the hand. This themed medieval bangle bracelet created and hand crafted with great care and love for you and yours. 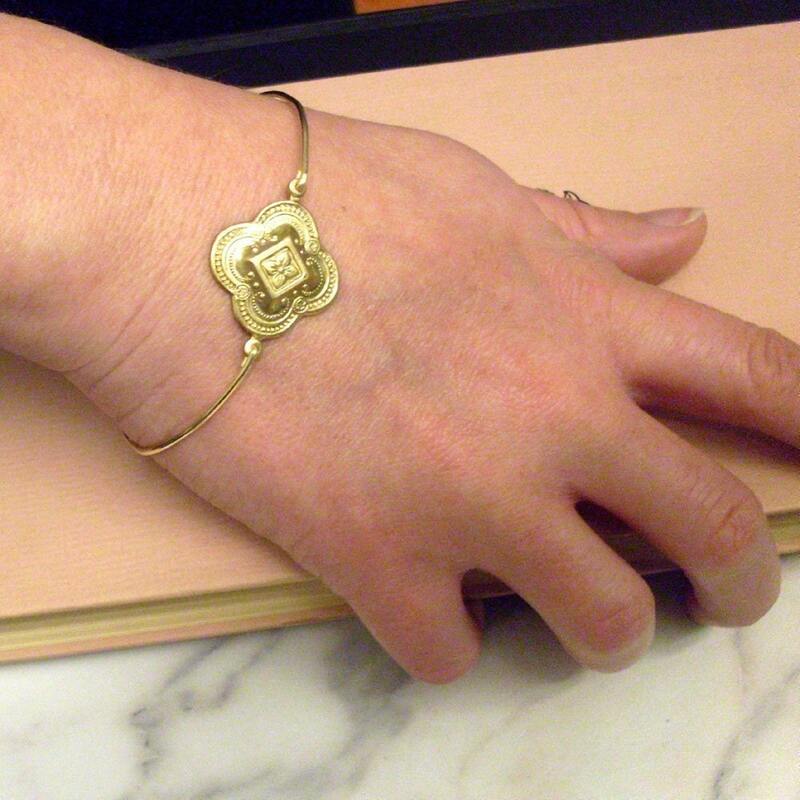 All of my items including this quatrefoil / clover jewelry, thin bracelet design are special handmade creations that are original Frosted Willow designs. I hope you love this medieval jewelry piece.